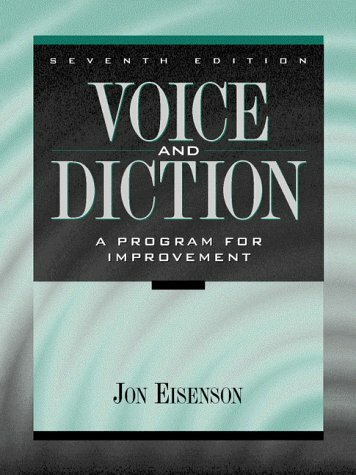 Voice and Diction: A Program for Improvement, seventh edition, provides comprehensive coverage of voice production, voice improvement, and articulation. In addition, pertinent material from related disciplines of speech and hearing sciences, linguistics, and phonetics is included. The seventh edition is updated to reflect contemporary information about voice production and diction-articulation, pronunciation, and intonation. A new Appendix D, Pronunciation Watch, has been added to address ESL speakers' intonation and articulation problems. This practical text continues to equip students with how to use the mechanisms for voice and oral language effectively. the diagnostic category of childhood aphasia, and established the Institute for Childhood Aphasia in 1962. He wrote poetry, children's books, books on aging and books on aphasia, including, "Adult Aphasia" and "Aphasia Disorders in Children." He was an emeritus professor of speech at Stanford University, where he established his Institute. Jon Eisenson died on July 25, 2001 at the age of 93.